My QOS & MPLS Notes. Cisco.com Reference URL: In some cases (for example, a plain non-VPN MPLS network), the PHP action on the final P router can expose a plain IP packet when a packet with only one label is received. 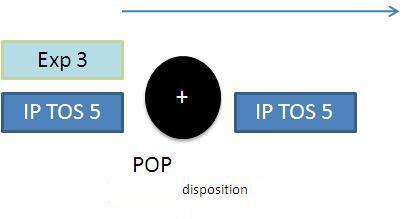 When this IP packet is received by the egress LSR (PE), it is not possible to classify the packet based on the MPLS EXP bits because there is no label now. In these situations, you must configure the egress PE router to advertise an explicit-null label. When the PHP (I guess that they mean a SWAP operation because of UHP in the P) action is performed on the P router, a label with a value of zero is sent, and with this special label you can mark the EXP bits as normally labeled packets, allowing the correct classification on the egress PE router. 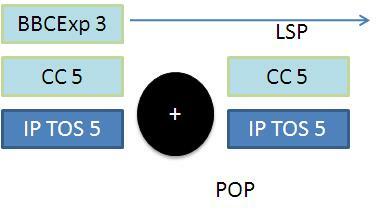 This entry was posted in Cisco, MPLS, QOS. Bookmark the permalink.